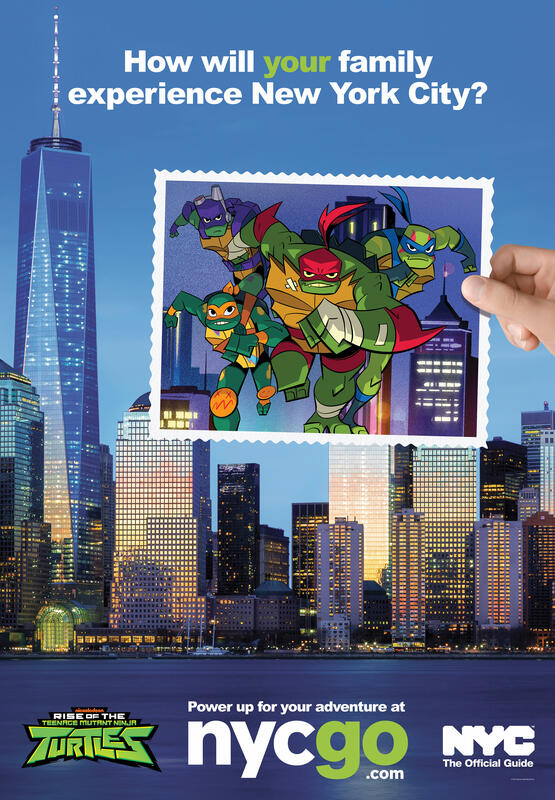 New York City (June 5, 2018) — NYC & Company, the City’s official destination marketing organization, is joining with Nickelodeon—the number one entertainment brand for kids—to announce an expanded New York City family travel partnership that will include three Official NYC Family Ambassadors: SpongeBob SquarePants, PAW Patrol, and the return of Teenage Mutant Ninja Turtles for a third year. 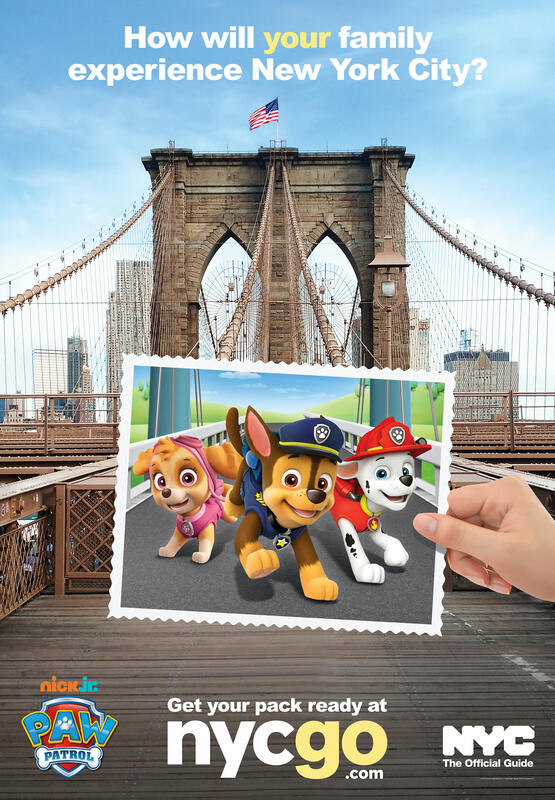 This will be the fourth family partnership opportunity between NYC & Company and Nickelodeon, as Nickelodeon’s Dora the Explorer, Dora and Friends and the Teenage Mutant Ninja Turtles have served as NYC Family Ambassadors in the past. 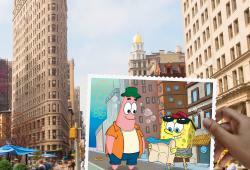 With a multiplatform advertising campaign and refreshed age-specific content on NYCgo.com/family debuting today, the beloved Nickelodeon characters will encourage families of all ages to travel to New York City—just in time for kids’ summer vacations. 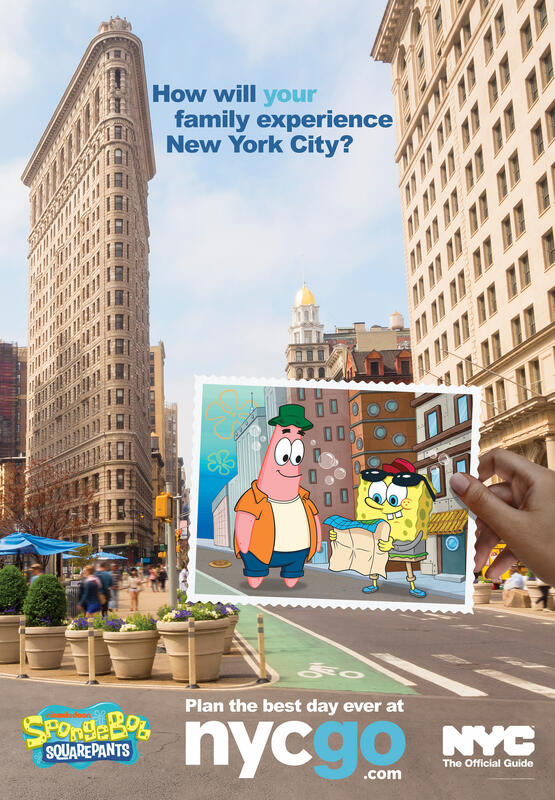 The new Nickelodeon brands inspiring family travel to New York City from now through early 2019 include: SpongeBob SquarePants, a fan-favorite series for nearly two decades, now also appearing on Broadway in a Tony-nominated musical; PAW Patrol (produced by Spin Master Entertainment), the number one ranked preschool series on all TV; and Rise of the Teenage Mutant Ninja Turtles, the newest reimagining of the iconic Teenage Mutant Ninja Turtle franchise, set to debut on Nickelodeon this fall. 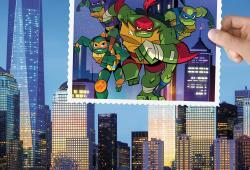 Characters in the TMNT franchise previously served as NYC family ambassadors for the past two years beginning in 2016. Beginning today, a national outdoor media campaign will debut in Boston, Chicago, in 22 national shopping malls and across New York City. Three creative concepts are among the displayed advertisements (one for each family travel partner brand), with unique taglines in the voices of the Nickelodeon characters. To inspire families to plan their New York City adventure, a targeted digital and social campaign will run throughout the summer and drive to a newly imagined family section at NYCgo.com/family with comprehensive guides, itineraries and curated experiences, all designed to help families make the most of their NYC experience. 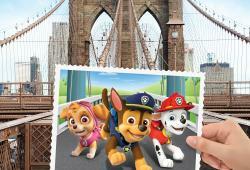 Once on the family page, families can discover more “Things to Do” in New York City than ever before with online content tailored and themed by three specific age groups, corresponding to the Nickelodeon properties: teens (featuring SpongeBob SquarePants), tweens (featuring Rise of the Teenage Mutant Ninja Turtles) and young children (featuring PAW Patrol). NYC & Company estimates 12.8 million family travelers visited the destination in 2017—that is up from 11.9 million family travelers in 2016. Gulliver’s Gate opened in May 2017 and occupies 49,000 square feet of space in Midtown Manhattan. The attraction features built-to-scale miniature scenes of regions from across the globe (including models of NYC produced in Brooklyn) and hundreds of moving trains and vehicles, as well as ships that sail and planes that take off and land (gulliversgate.com). National Geographic Encounter: Ocean Odyssey opened in Midtown Manhattan in October 2017 in partnership with National Geographic and SPE Partners. The groundbreaking attraction transports visitors on an underwater journey without getting wet, thanks to cutting-edge technology and National Geographic’s rich history of storytelling (natgeoencounter.com). NFL Experience Times Square opened in December 2017 and is an interactive experience that brings football fans closer to the game than ever before. Including a 4D film with exclusive footage, interactive displays that dive into the players’ training regimen and game plan, physical challenges that allow guests to measure up against the pros and championship memorabilia, the first-of-its-kind attraction takes fans from the stands to the field (nflexperience.com). Opry City Stage opened in December 2017 in Times Square and is a four-story 28,000-square-foot entertainment complex dedicated to country music and Southern culture. With a performance stage featuring live music in the restaurant and bar, a menu of Southern favorites, a listening room for intimate ticketed shows and songwriter’s series, the venue brings Nashville and the Grand Ole Opry to New York City (oprycitystage.com). Spyscape opened in February 2018 in Midtown Manhattan and is the world’s largest interactive spy museum, featuring world-class artifacts, advanced technology and immersive experiences. Family visitors can test hacking, code breaking and espionage skills to discover their inner spy (spyscape.com). Ocean Wonders: Sharks! at New York Aquarium opens June 30, 2018, in Coney Island. The Wildlife Conservation Society’s New York Aquarium will debut its new exhibit space, a 57,000-square-foot building that will house more than 115 species of marine wildlife, including sharks, skates and rays (nyaquarium.com).